1. 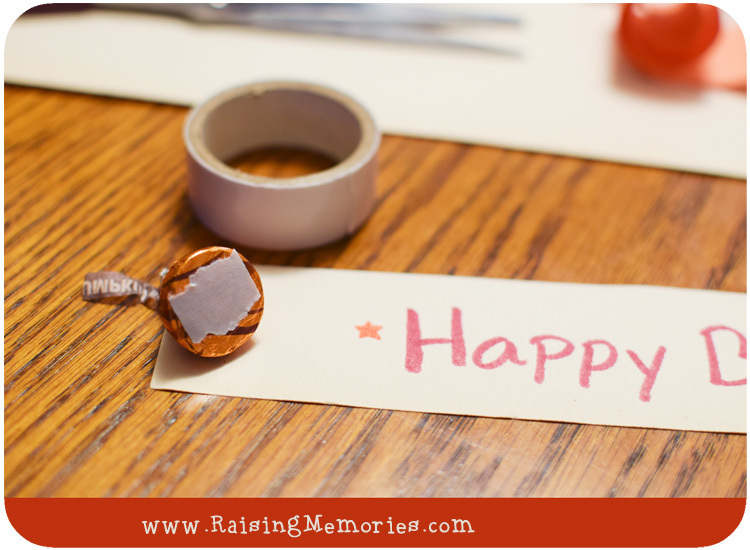 Start by cutting your paper into strips and then pass out the strips and markers so everyone can write little messages on the strips of paper. You can tell them why you love them, what you love about them, or funny or happy memories you have with them. 2. Put double sided tape (or rolled tape or glue) on the bottom of your wrapped candies and attach one to the end of each strip of paper. 3. Roll each strip of paper around the attached candy and put a small piece of tape on the end, to keep it together. 4. 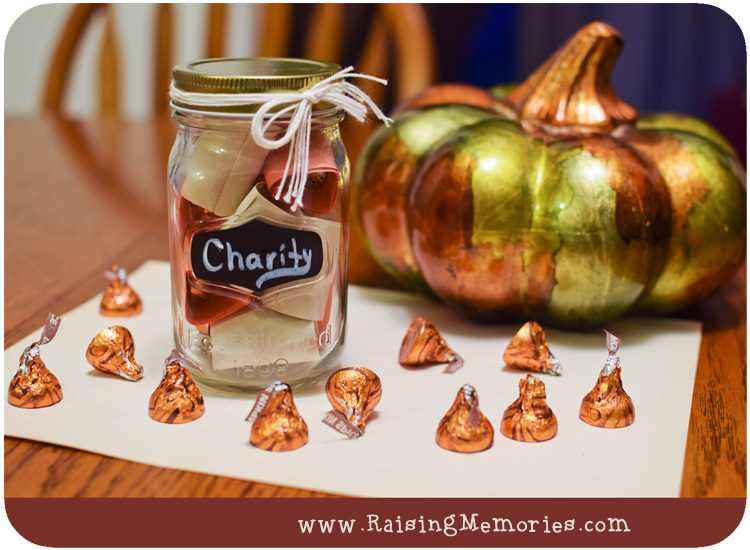 Arrange your strips of paper inside of the jar, and decorate as you like, with ribbon or string. We found this cute jar with the chalkboard label at the dollar store and wrote our friend's name on it with a chalk pen. I really liked the way it turned out! Of course you could adjust the colours and make it more rainbow-y or Christmas-y or fit it in with a party theme. I think we'll use this idea again! I love jars too! What a great idea! My daughter and I made rainbow jar with homemade play dough for my granddaughter birthday treat bags. That sounds so cute! What a fun idea- that would be a great birthday or Christmas gift from one child to another, too! What a lovely and heartwarming gift to give. I think the best part of this gift is that it was put handmade and put together by you. She must have been over the moon when you gave it to her. Yes, that's what I like about it. We could've just given her a bag of candies, but this is more personalized. What a great idea - I think this is a great esp. around the holidays so we can teach the boys the meaning of giving (not just receiving). I love nothing more than praise and chocolate. Therefore, I think this gift would be PERFECT for MEEEEE! haha, I love that! I'm with you! Such a thoughtful idea for a gift! I'm going to try this for Christmas! What a cute idea. It is so thoughtful, and with a little sweet treat, who is not going to love it? What a lovely idea, no doubt Charity was thrilled with the thought and work that went into such a personalised gift. A very cute jar that has that encouraging touch. Very sweet, something my daughter would love to create! What a sweet idea, all pun intended! This is so adorable! I love this cute idea as a gift to give to someone.and would love to get one from someone myself. Nice, Awesome Idea!! ;D Plus there is chocolate which is always a good thing!! I also love the pumpkin in the background, did you make that yourself too? Thank you! No, I found it at Winners! This is so sweet! I love the idea of having the kids do this for their friends and family members. And you're right, change up the colors and it's great for Valentine's Day, Birthdays, or Teacher Appreciation. Thanks for the great idea! I love this idea , my friend will be going for a major surgery soon , I am going to make her one for recovery ! Good one! What a neat idea. I think it's really special. Great idea, especially for Christmas on a tight budget! 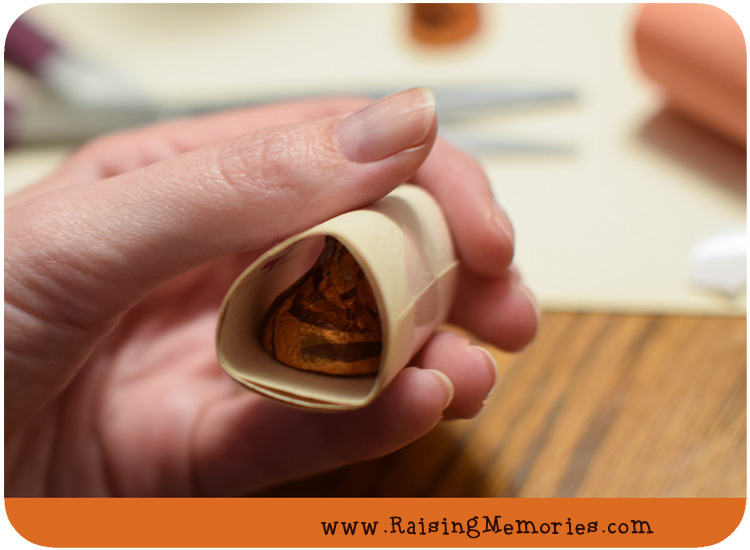 That is such a good idea, my youngest made me a memory jar one year and it is one of my most treasured possessions! This is such a great idea! Who wouldn't want to receive such a sweet gift! That is such a sweet idea. I love that you wrapped the notes around candies as well! Extra sweet! This would be great as a Christmas gift too and kids could make this for grandparents/Godparents etc. I would love to receive this because it is such a personal, thoughtful gift and it comes with sweets too! I am definitely keeping this gift idea in mind! What a personal gift. Love this! Very pretty too. These "We Love You" Jars wouldn't work here. I would eat all the good stuff before getting the project done...lol! Such a great idea to repurpose old jars! This is a cute and personal gift idea!! This is such a wonderful idea. Gifts and decorations that are handmade are so much more special. I love this idea, and thinking I might just do it myself!! What kind of paint did you use for the pumpkin deco, or was it bought as is? Sorry, just spotted your reply. Is it ceramic then? How sweet! I see tears starting flow for just about anyone in my family! It doens't take much! Thanks for sharing I love thoughtful projects like this !